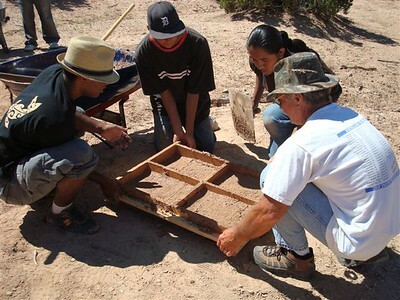 Hamaatsa's pilot adobe making program, held in collaboration with Earth Care International, Santa Fe, New Mexico featuring Quentin Wilson, northern New Mexico's adobe specialist and instructor. 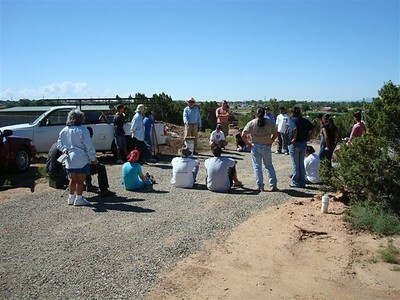 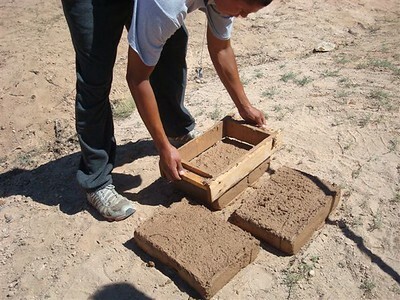 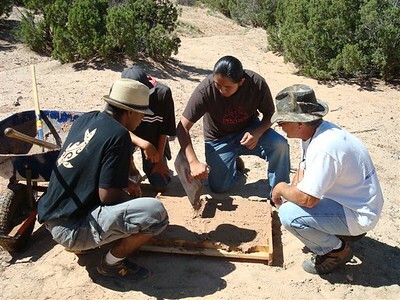 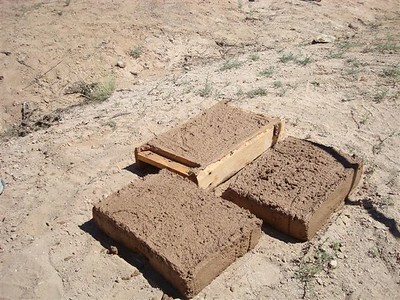 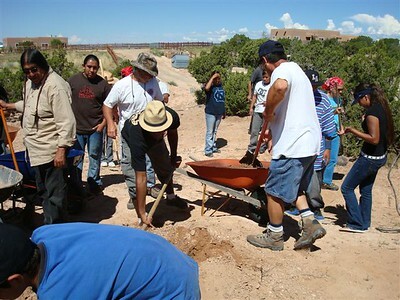 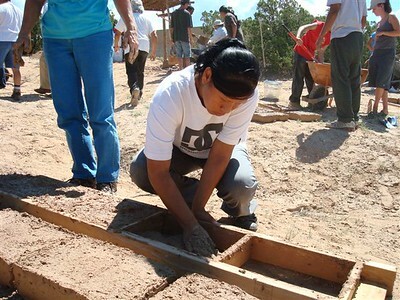 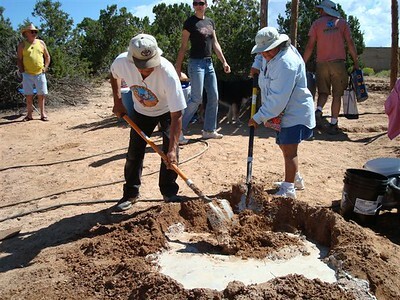 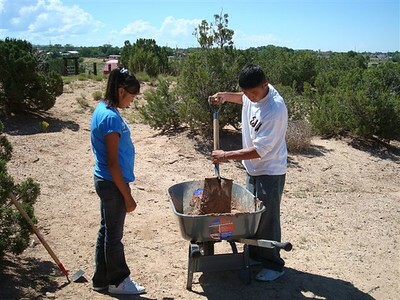 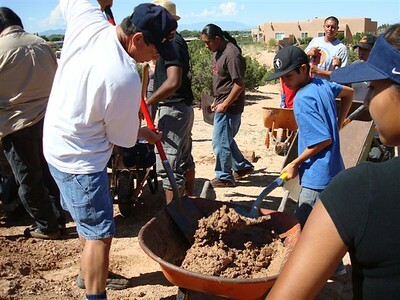 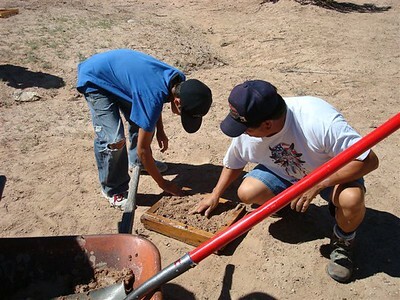 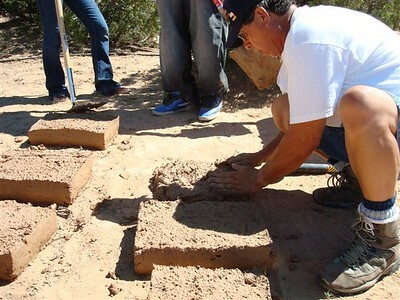 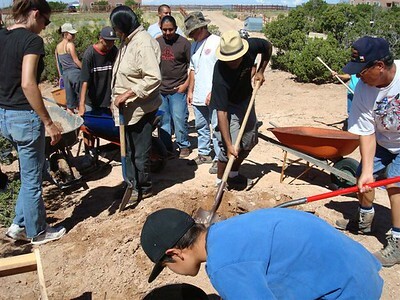 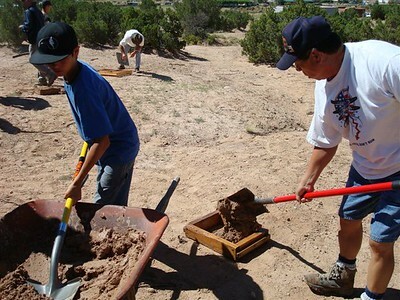 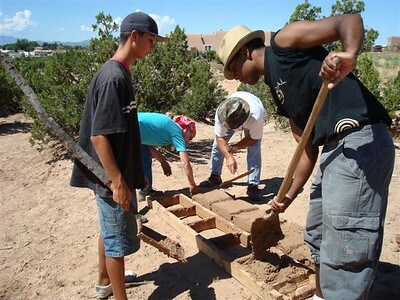 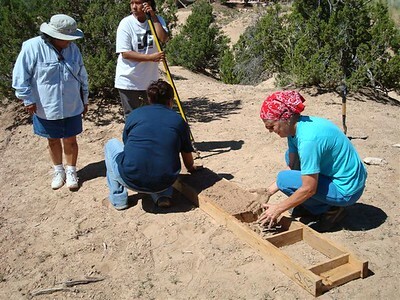 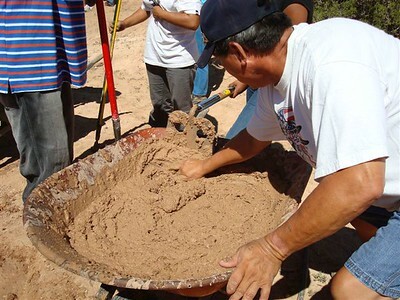 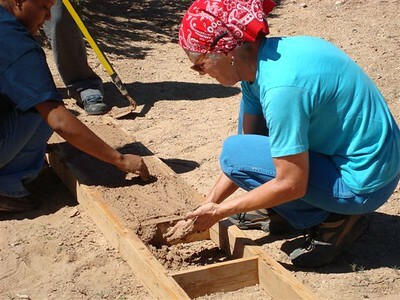 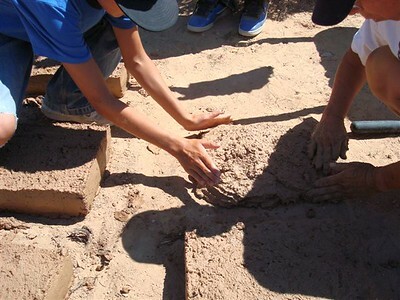 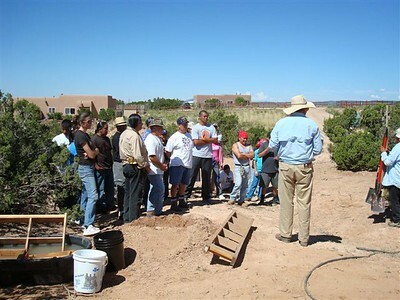 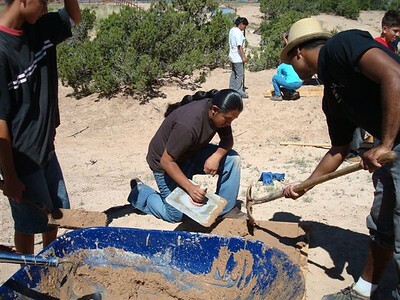 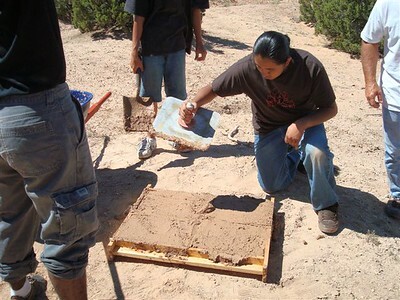 During this all day workshop, led by Quentin and Pueblo elders, participants including youth leaders from Earth Care and several Santo Domingo Pueblo youth from the Santa Fe Mountain Center's Native American program, learned how to identify soil, mix mud, make adobes and make mortar and construct a simple single wall structure. 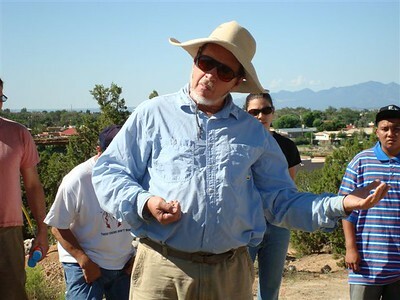 Quentin Wilson beginning the day, teaching us about adobe soil identification.